Windows account for 30 percent or more of a home’s heating losses! Now that’s a lot of loss of energy and needs some definite looking into. 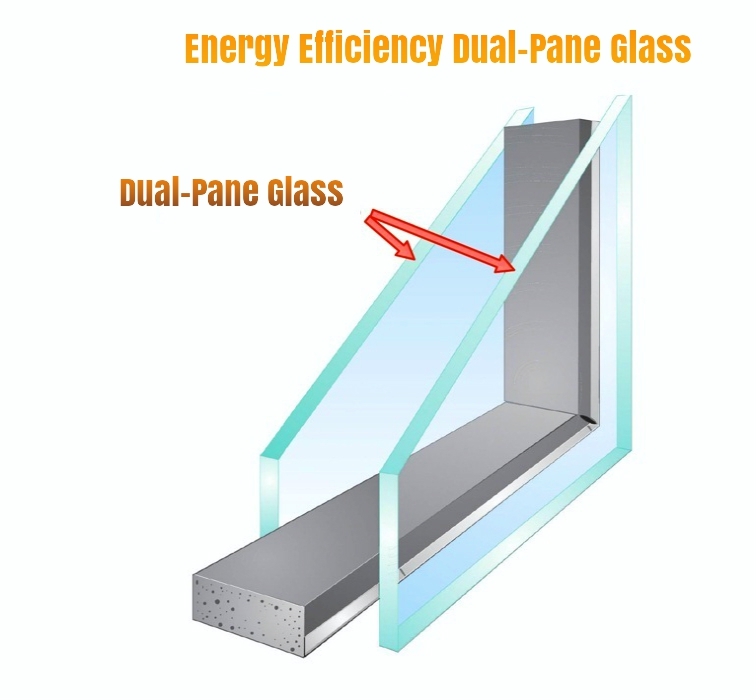 In this blog, we will discuss dual-pane glass as a solution to this and see how it contributes to energy efficiency. The technology behind dual-pane glass windows is the effective creation of a vacuum or gas filled space that reduces heat transfer. This creates effective insulation and reduces energy wastage. Dual-pane glass reduces energy usage by up to 18% in the summer and up to 24 percent in the winter (Source: Canadian Window Standards Subcommittee). This is in comparison to single-pane windows. A great way to save energy with just a window pane change, don’t you think? With the benefits of a dual-pane glass window, you are conserving fossil fuel and minimising greenhouse gas emissions. This is a great way to contribute your share to the cause of environmental protection along with gaining an energy efficient home. Dual-pane windows are versatile in the sense that you can add different technologies to it to make it more efficient. Spring-operated balancing mechanisms and other technologies significantly add to the efficiency of a dual-pane window. Hence proved, dual-pane glass is an excellent choice if you’ve got energy efficiency on your mind! Call us and find out how you can get this fitted in your home. What is a Rough Opening? What are Energy Star windows? Great customer service! Satisfied with our replacement windows.